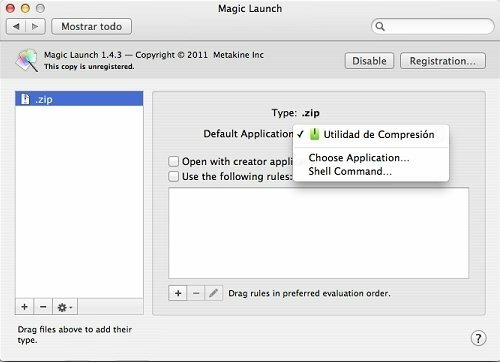 Do you want configure to your own liking the Mac settings to open files? 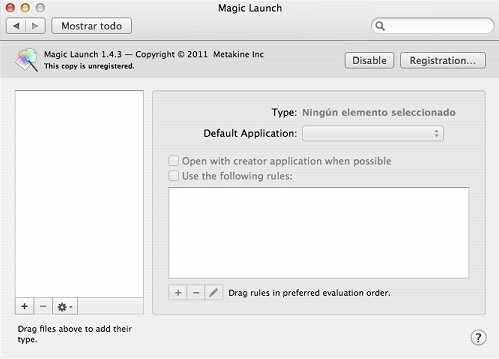 You can do so very easily with Magic Launch. This tool allows you to define how you want to open documents, being able to choose between the applications they were created with, or others that suit you better. 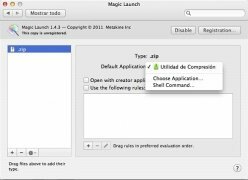 You'll be able to apply the configuration you establish to whatever types of files you deem appropriate. 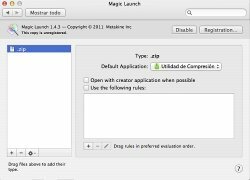 Configure rules to open files without any problems at all. Establish rules to open files. 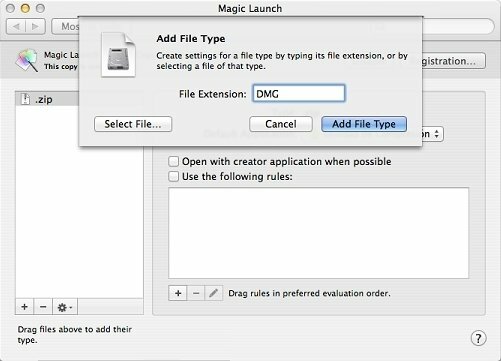 Drag & drop system to add different types of files. 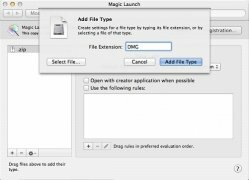 Application selection menu to open the types of files established. Magic Launch installs its own agent on the system, to where it redirects each application that's launched. That's when it reads and takes into account the rules established, if there were any, for the action carried out. All the latter, consuming minimum resources, as it only runs for the file types defined in its configuration. 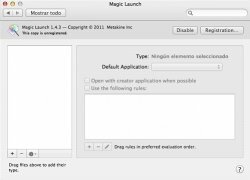 Open any file or document launching the application of your choice and not with the one Mac OS X tell you to, easily establishing rules with Magic Launch. A document can only be opened ten times using the rules established in the trial version.